The most extraordinary writing in the world can be seen on the wall of a cave deep in the Sahara desert. The site is called the Wadi Matkhandouch Prehistoric Art Gallery, near Germa in Libya. It’s startling to find any evidence of human presence in such an inhospitable place, so far from what we think of as civilization. And, frankly, this writing, in a script called Tifinagh, doesn’t look much like what we think of as writing. It’s a meandering string of simple symbols, some of which more like mathematics than writing: Is that a plus sign? A zero? A percentage, sign, for heaven’s sake? Or perhaps code. There’s no attempt to include little explanatory pictograms, though in fact the same set of rocks and caves has an incredible array of carvings of animals: giraffes, lions, crocodiles, elephants, ostriches, two cats apparently fighting. No, this writing seems to be just as likely to be about concealing its message as about revealing it. Or perhaps another kind of code, for this twisting strand of language looks so old and so deep it might just be the DNA of writing. Oh, and did I mention that the symbols or letters are in such a strange and vivid red pigment that they look as if they’ve been written in blood? It’s like a missing link, the verbal equivalent of the famous prehistoric cave paintings at Lascaux in southwestern France. Written language was here, it says (and in other Saharan sites, too, such as the one between Tamanrasset, chief city of the Algerian Tuareg, an oasis high in the Ahaggar Mountains, and Djanet, deep in the desert), long before anyone thought to write in straight and level lines. The individual letters have the same combination of angular purpose yet prehistoric crudity that challenge the sense at Stonehenge. Something is being born. It is a defining moment in human intellectual history: not just representation, a panorama of hunting, but early, early, unbelievably early symbolism. It’s as if we’re looking at the invention of meaning itself. 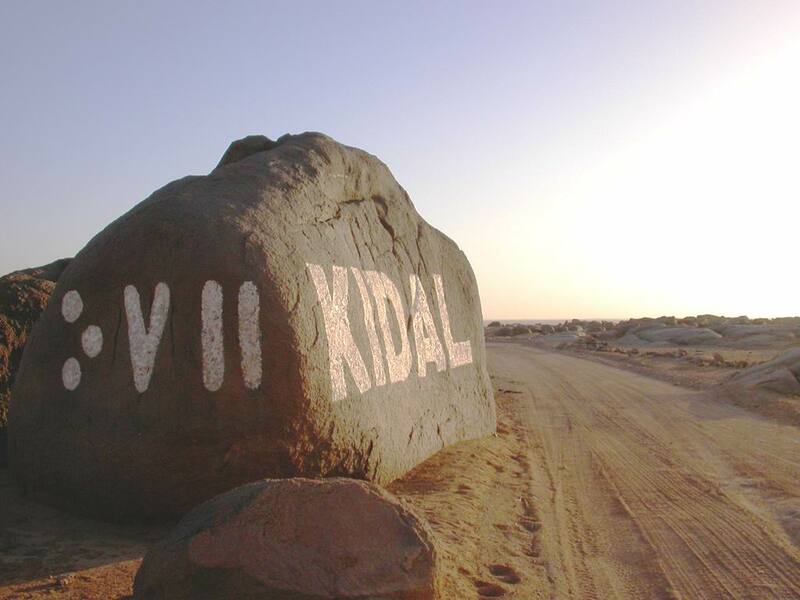 Among these are the 1,500 year old monumental tomb of the Tuareg queen Tin Hinan, where vestiges of a Tifinagh inscription have been found on one of its walls. 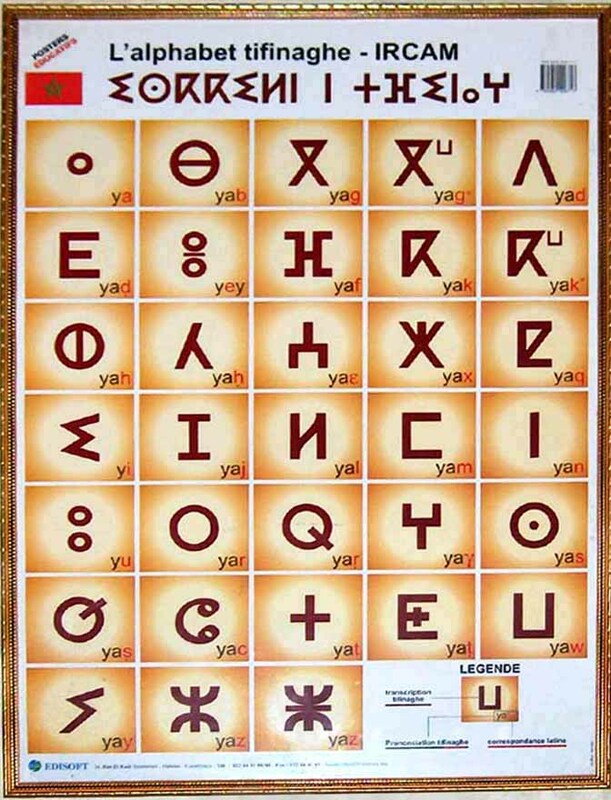 Tifinagh is an illustration of the ability of a written language to survive utterly everything: political and military threat, social and cultural change, wind, weather, the biting sands of the Sahara. This, surely, is one of the quintessential qualities of written language: it was designed to communicate, yes, but also to survive. These cave inscriptions are apparently instructions left by one Berber caravan for anyone else crossing the wastes — notes on where the caravan was heading, where other caravans are, where to find water. Those caravans are long gone, but the embodiment of ideas in physical form can survive for thousands of years. Nowadays, after centuries of incursions and colonization, the Berber are scattered throughout Algeria, Libya, Niger, Mali and Burkina Faso. As the other occupants of the region created permanent cities, kingdoms and countries, the Berber people found themselves no longer kings and queens of the desert but outcasts. 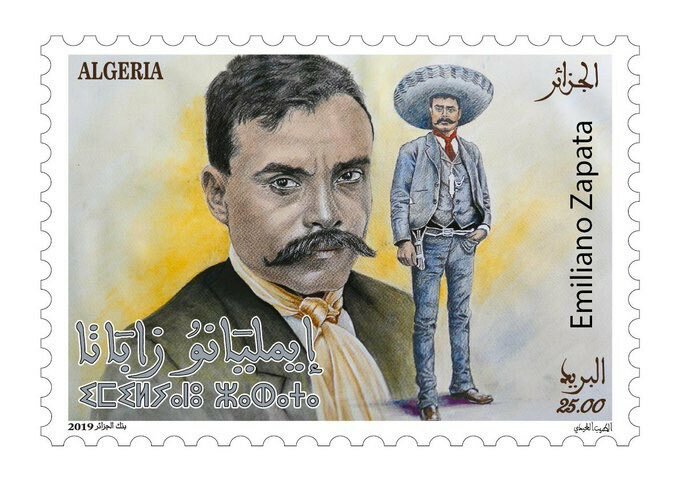 They have been subject to a depressing range of human rights abuses, not least in countries which have declared Arabic the official language and have endeavored to suppress or stamp out Berber language and culture. 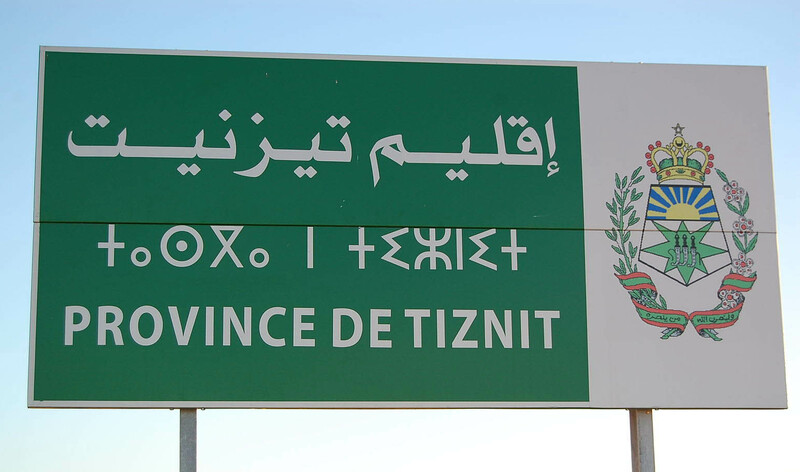 In Morocco, as recently as the 1980s and 1990s anyone using the Tifinagh script might be arrested and imprisoned. In Algeria, one of the points of contention during the political unrest of 2001 (during which roughly 100 Berber people were killed, 5,000 wounded, and thousands of other were subject to torture and arbitrary detention) was the suppression of Berber languages. 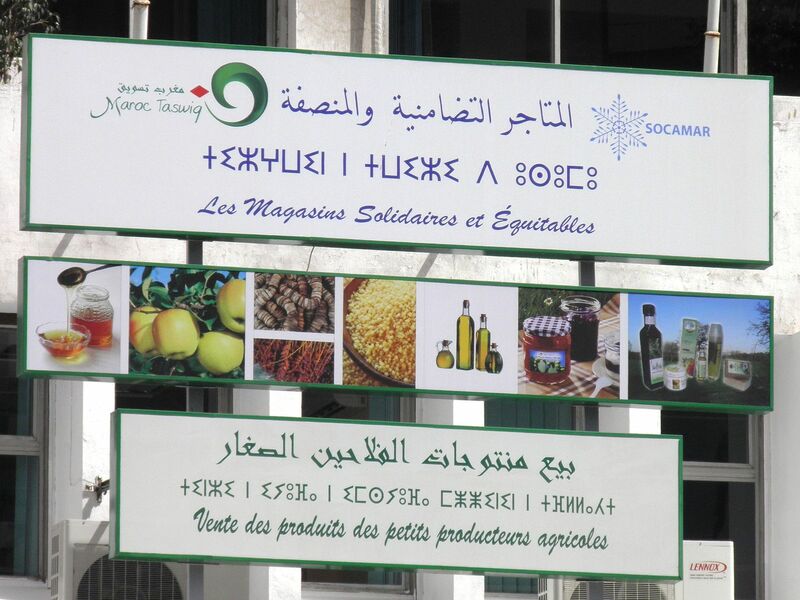 And in Libya, the Gaddafi regime banned Tifinagh from use in public displays. 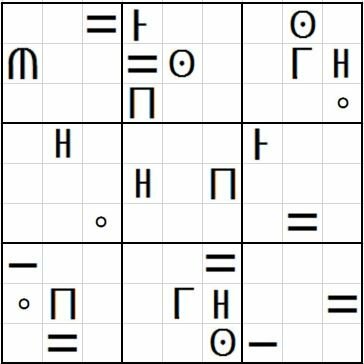 Tifinagh may be a descendant of one of the oldest scripts in the world. 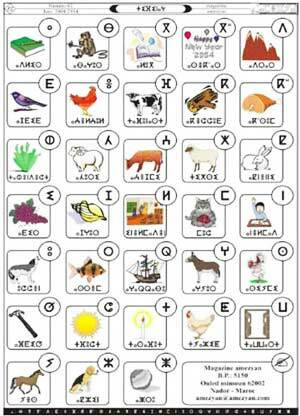 Its name may mean “Phoenician letters,” and Phoenician was the alphabet from which Ancient Greek was developed. And, like Mandaean and Samaritan, it may have survived in something like its original form because it was an outsider language. “Tifinagh has resisted the influence of foreign systems like the Roman and Arabic alphabets,” writes Saki Mafundikwa in Afrikan Alphabets. 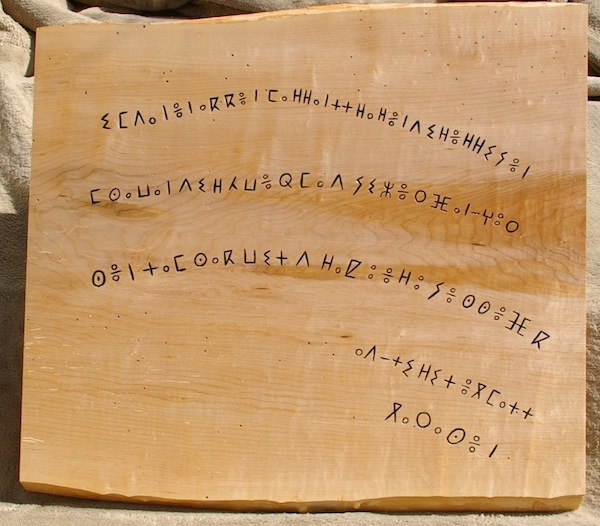 “It is used in coded messages in games, or directions inscribed on rocks as a guide to finding water or game in the desert.” It is also used, especially by Berber women, to pass on secret messages and write love letters.